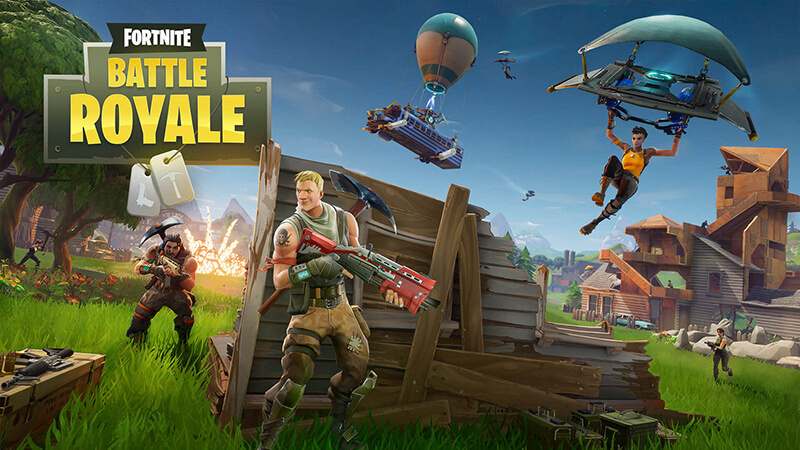 If you’ve finally managed to talk some of your friends or family into joining you playing Fortnite Battle Royale, then get ready for even more fun. Sure, the game is a blast even when you’re playing with a team of complete strangers, but when you’re working together with a team of your favorite peeps it’s even more fun. As you may know, you can play Fortnite Battle Royale on a variety of different devices including PS4, Xbox One, Switch, a PC, and iOS mobile. So, let’s say that you’re playing Fortnite on your iPhone but your buddy Max is going to play it on his PC. How you can play with people on other devices is called cross-platform, or cross-play, and we’ll let you know how to make that work. Before we get started, I just want to point out that this whole cross-platform playing can be a bit tricky the first time you try it. We’ll try to make it as painless as possible so that you can easily play with your friends and family on any platform. Can Xbox and PS4 Cross-Play Fortnite Together? The thing that determines if you’ll be able to play this game with your buddies is totally dependent upon the gaming hardware that you all will be using. Some devices and platforms have more compatibility than others. The good news is that if you can play a game of Fortnite on it, then you can probably do cross-play on the device with your buddies. Until September 2018, the PS4 was really the only platform that didn’t work well with other devices. It was no secret that cross-play with Xbox One and PS4 was impossible. Then, in late September 2018 Sony announced a beta of PS4 Fortnite cross-play. As of this writing, that is still in it’s beta release but it is expected to go wide soon enough here in 2019. Okay, first things first, you need an Epic Games account. Since you’re more than likely here because you’re already playing Fortnite Battle Royale, then you already have an account. But, if you don’t have an account yet, just head on over to Epic Games and sign up for one. You need an account so that the games matchmaking can help you find your friends. One important thing here is that when you sign up for your account you get to select your nickname in the game, which is what will be displayed for other users to see (and how your friends will find you) – so don’t pick something embarrassing! No matter what platform or device you play on, you always use the same account to log into Fortnite. The benefit of using that account everywhere you play is your progress and purchased content travels with you. However, you’ll discover that stats and leaderboards are platform-specific and don’t travel with you to different platforms that you might play the game on. That means if you want to play with friends across platforms, everyone needs to link their platform’s account — PlayStation Network, Xbox, or Nintendo Network — to their Epic Games account. 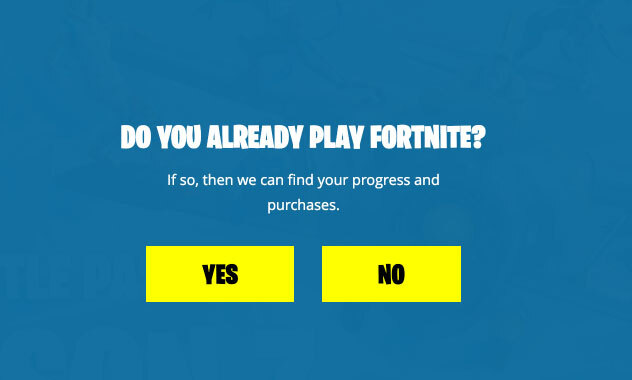 You can actually do this right on the Epic Games site once you’re logged in. Starting with the version 3.4 release of Fortnite, it’s super easy to find your friends and have them join your party thanks to the Party Finder option on the main menu. This option lets you find your friends who are playing on either the same platform as you or on other platforms. On PC, you’ll get matched with mobile, PS4, Xbox One, and Nintendo Switch players who are in a cross-platform party — unless you’re playing Solo mode. (Solo made excludes teams). If you’re playing in Solo mode, then you only end up getting matched against solo PC players. On all platforms, Fortnite’s Squad Fill parties refer to players on whatever platform that you’re playing on. As a concession to those who don’t want to play with console or mobile players, the Fill option is disabled when you’re in a cross-platform party on Mac and PC. You might be surprised by how easy this process is. In fact, Epic Games made it super fast and super simple for you to get your squad together in Fortnite. 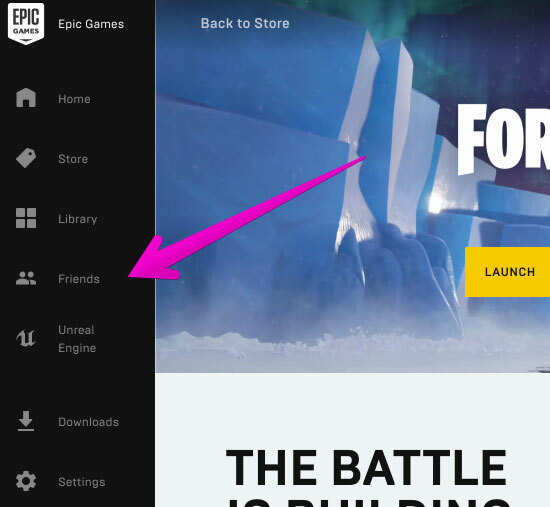 Everyone needs an Epic Games account and to be friends with each other there (add friends by either their email address or Epic user name in the Epic Games Launcher). Invite or join your friend in the ‘Epic friends list‘ to create a cross-platform party. Click either ‘Join party’ or ‘Invite’ as you select your friends in the Epic Games Launcher or main menu on consoles like PS4 or Xbox. Use the ‘Party Finder‘ option on the main menu to search for your Epic friends on other platforms. If you’re using Squad Fill to create a party, cross-play matchmaking for mobile, PS4, Xbox One, and Nintendo Switch players only happens for players in a cross-platform party. If you’re not in one of those, you’re playing against those on your console or mobile ecosystem. However, Fortnite on Xbox One has an exclusive feature in the settings menu that allows players to block mobile and PC players. As mentioned above, the beta for PS4 cross-play started on Sept. 26, 2018 and as of this writing has not yet come out of the beta period. 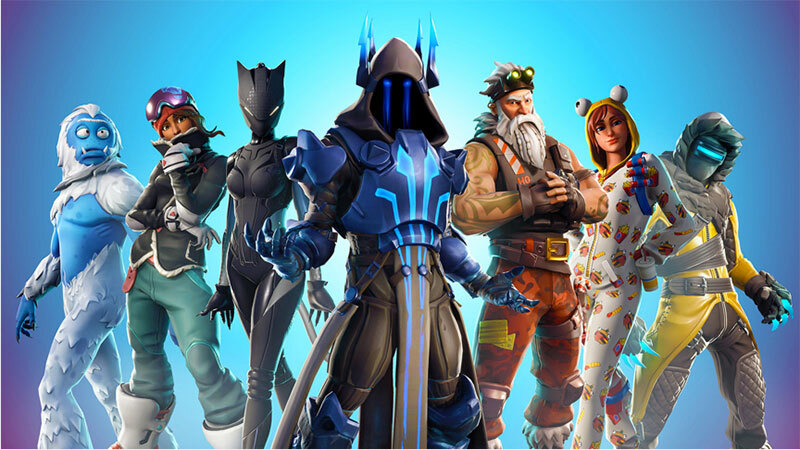 Link your Epic Games account with your PlayStation Network account at the official Fortnite site. Use the Options button on your PS4 controller and navigate to Epic Friends in the menu that loads. And add the people you want to play with as an Epic Games friend. Set your Fortnite privacy settings to Public or Friends. Now you friends from other platforms can join you in the game play fun! If you’re on Mac or PC and want to join a friend on PS4, you’ll need be Epic friends. (You can do that on the console, mobile. Mac and PC.) Then, as long as your PS4 pal has their game privacy settings set to Public or Friends and they’re not in a Solo queue, you can join their lobby. So long as long as you’ve linked your Xbox One account with your Epic Games account, you should be able to cross-play with friends on Mac, PC, mobile, and PS4. Link your Epic Games account with your Xbox Live account at the official Fortnite site. Use the Menu button on your Xbox One controller and navigate to Epic Friends in the menu that loads. And add the people you want to play with as an Epic Games friend. Fortnite on Xbox One has a unique cross-play notification that appears when you load Save the World for the first time and when a friend on mobile or PC joins your party. If you don’t want to see that notification anymore, you can disable it in the Settings > Game menu. 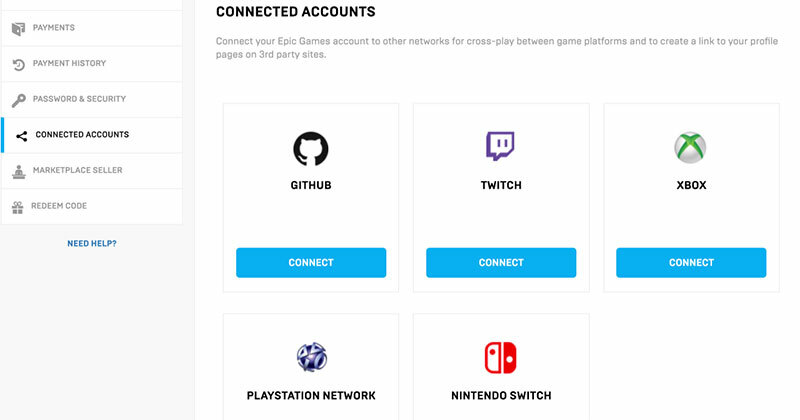 So long as long as you’ve linked your Nintendo account with your Epic Games account, you should be able to cross-play with friends on Mac, PC, mobile, Xbox One, and PS4. Link your Epic Games account with your Nintendo account at the official Fortnite site. Use the + button on your Switch controller and navigate to Epic Friends in the menu that loads. And add the people you want to play with as an Epic Games friend. That’s all you need to know for cross-platform game play with your friends. If any part of this process changes, then we will update this guide accordingly. Now, get out their with your squad and let the battle royale commence!